I can’t believe our baby Iolo is six months old! The last couple of weeks have been a real landmark – as he’s exploring the world of food. After a couple of half-ditch attempts at mashed banana, his first real culinary joy came in the form of a piece of melon, which he gripped onto, chewed, sucked and thoroughly enjoyed. Since Christmas his enthusiasm and confidence for eating his steadily grown. Each meal time now begins with the munching of a small piece of bread, while I get the rest of the food ready. He enjoys being fed a small bowl of puree, while experimenting with holding and gumming batons of soft vegetables, such as potato, carrot, pepper and courgette. Iolo has even been giving cubes of firm tofu a good go! I decided I wanted breakfast and lunchtime to become a family thing – where he eats the same as we do and learns to enjoy his food. So yesterday I made soup that doubled up and purée which fed three of us. The main difference is, I didn’t use any stock (because of its salt content) and the seasoned our portions separately afterwards. 1. Fry onion and leek in the olive oil in a medium-sized saucepan, until they are soft. 2. Add in the cubes of potato and rosemary and stir with a wooden spoon. 3. Pour in 200ml of water, bring the pan to the boil, then turn down to simmer and cover for 15 mins, until the potato is soft. 4. Stir in the second 200ml or water or soya milk, then blend with a stick blender until smooth. 5. Add more liquid if the soup is still a bit thick. Serve out a small portion for your baby. 6. Season the remainder of the soup and serve with bread. There are many reasons why being vegan is important – but since having a baby – this choice has taken on a new and poignant significance for me. Over the last four years, I have shown hundreds of people how to cook without milk or eggs and written many articles explaining why the dairy cow is the hardest working mother of all. However, there is something about raising my own baby that has put a new perspective on it. Surprisingly, not everyone knows that a cow has to be pregnant to produce milk and this is where the uncomfortable parallels begin. Woman, cow, mother, baby. Imagine if women were treated the same as dairy cows in order to harvest their breast milk for other mammals to drink? You are repeatedly impregnated by artificial insemination. 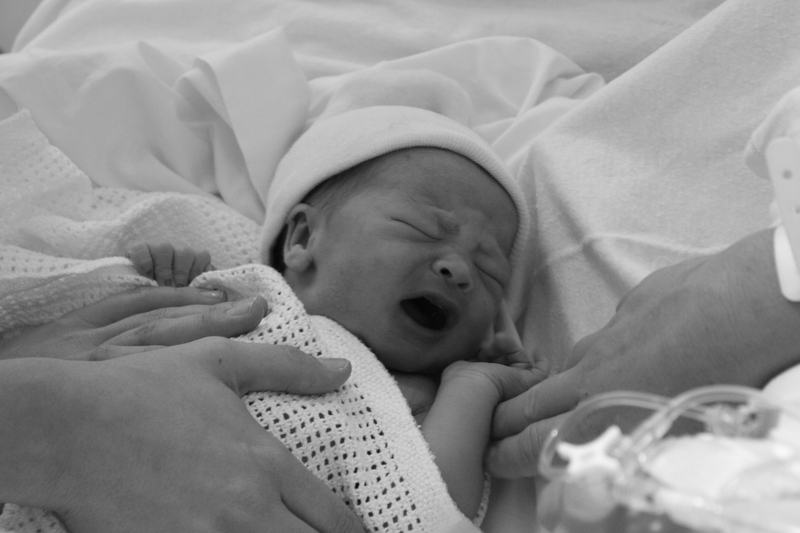 Once you give birth, your baby is taken away from you after around 24 hours. You cry for it, but it is never returned. As a then grieving mother, you are milked; forced to produce up to 120 pints of milk a day. Soon you will be made pregnant again, so the traumatic cycle can begin, again and again. After a few years, your body is worn out and you are killed as you are no longer considered profitable. Embrace the feeling of carrying a baby, remember the moment you gave birth and the love you felt when you first held him in your arms. Why should it be any less signficant to a female cow? do you think she does not feel love and an overpowering maternal attachment to her baby? do you think because she cannot communicate with us that she does not experience terrible emotional pain when her young repeatedly vanish? As I feed my baby, I know my body is producing milk specifically designed to help him thrive and grow – and this is what cows’ milk is for these baby animals. This is why many humans find it hard to digest; a large proportion of the world’s population are intolerant to dairy products. A growing body of evidence also shows that the growth hormones in milk are linked to ovarian, breast and prostate cancer, as well as juvenile-onset diabetes. The saturated fat, cholesterol and animal protein it contains are linked to many other diseases. So this is why being vegan is so important. Taking milk from cows is cruel. They mourn, they become sick. Their milk is meant for their babies, not for us. I just wish more people would think about this the next time they put a glass of milk to their mouth or eat that piece of cheese. For more information on the welfare issues of consuming cows’ milk, visit www.milkmyths.org.uk. For referenced information about the health consequences of consuming dairy products, read White Lies, a scientific report by The Vegetarian & Vegan Foundation (VVF). All my recipes are vegan. For many more and ideas on how to veganise your favourite dishes, visit www.vegetarianrecipeclub.org.uk. 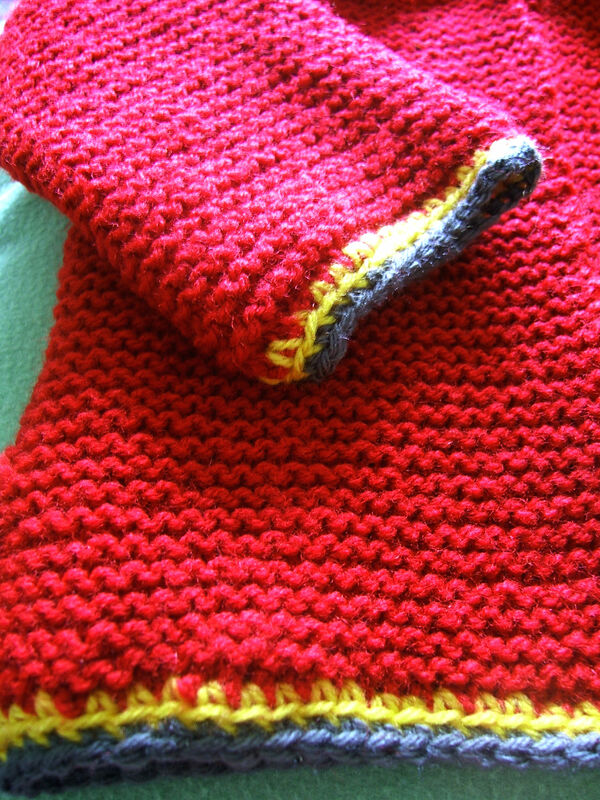 The last few weeks of pregnancy saw me relaxing a lot, cooking, reading and crocheting, from the comfort of my bed or the sofa! 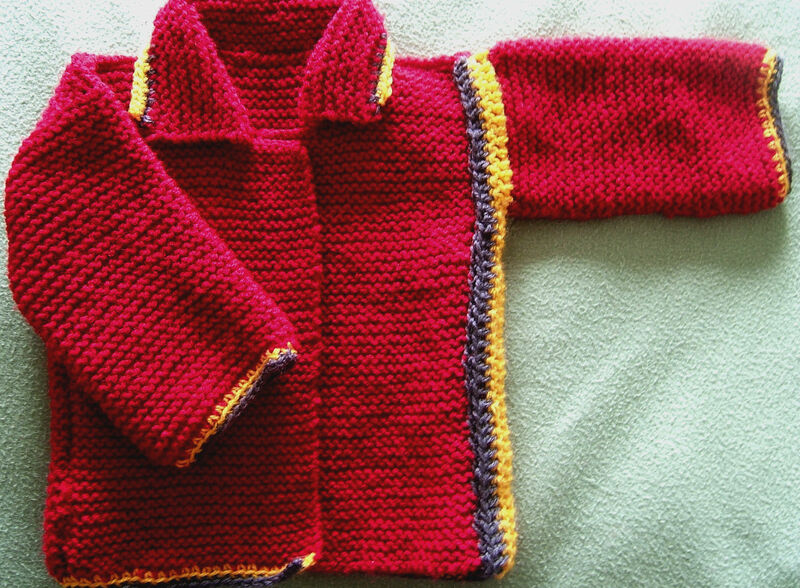 By the time the baby arrived, he was the proud owner of nearly an entire crocheted wardrobe. 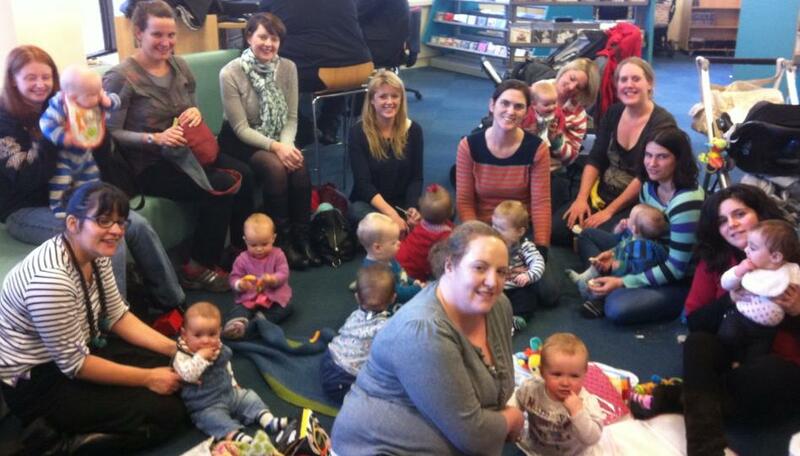 But the crocheting didn’t stop there. 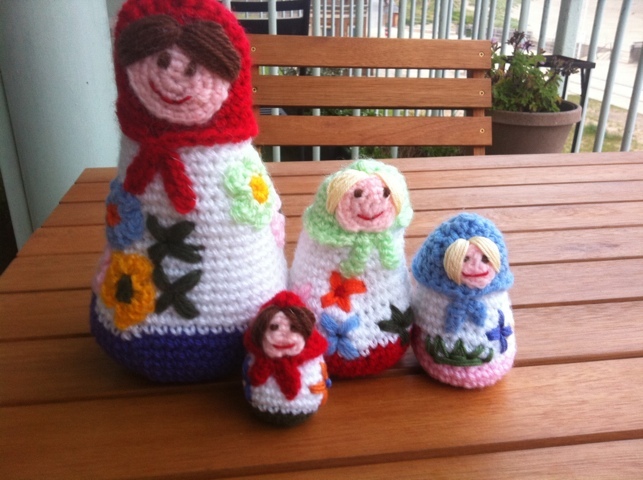 Ever since I began working with Nicki Trench’s Cute and Easy Crochet I had wanted to make her Russian Dolls for my best friend Rachael, who collects them. So once the possibilities for baby items had been exhausted, I finally got round to it! 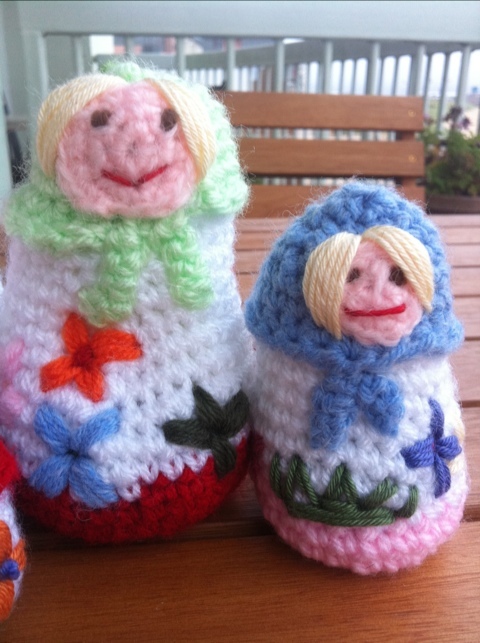 It was great to look at other people’s dolls made from the same pattern on Raverly. Here they are. They were surprisingly easy to make and great fun to customise. Our son, Iolo Ray, was born on Sunday, July 15 at 8.30am. I could sit and write thousands of words about it, but I’m not sure any amount of typing and contemplation could really do it justice… so here’s just a brief recollection. During the last few weeks of the pregnancy, time seemed to slow down and I began to wish it away, longing for the day of the birth to arrive. We were told Iolo was measuring big and his movements had also slowed down, so by week 38, the doctor had scheduled an induction to bring him into the world. This was set on his due date, July 17, so with this in mind, I decided to try to bring on the labour naturally beforehand. In between having three membrane sweeps, I cooked curry, ate pineapple, had massages, bounced on my birthing ball, took baths with lavender and jasmine oil and walked. Who knows whether doing any of things made any difference, but on Friday, July 13, the contractions began. They continued slowly through that afternoon, easing up enough to allow me to sleep a few hours in the night, before kicking in with greater force from 5am on Saturday. We began timing them and within a couple of hours I was having one every 7-8 minutes on average. They spread across my back, then built from deep down like an intense period pain. Hours passed by as I waited for them to become more regular. I brought into play all the coping methods I had learned – deep breathing with golden thread breath, lying over my birthing ball moving my hips, swaying from side-to-side, taking several baths, hanging onto my fiancée, listening to some of my favourite music, dancing and using a TENS machine. As the day progressed they became stronger, but I was frustrated they weren’t getting more frequent. I called the Delivery Suite at our hospital, who said I shouldn’t come in until I was having three every ten minutes. By midnight this still hadn’t happened, but I knew my labour was moving on and I couldn’t manage the pain at home any longer. Once we arrived in hospital and the midwives helped me up onto a bed, I felt relieved I was in safe hands and was going to be looked after. I was totally shocked to be told I’d dilated to 8cm at home when they examined me. The contractions gathered in strength and although gas and air helped, at some point during the next hour or two I knew I needed more pain relief. I asked for an epidural. According to my birth notes, I was in established labour five hours 50 minutes. Most of this time can be divided up by time spent waiting for the epidural and what happened after. It took all my strength and more mental power than I thought imaginable to get through the contractions before the pain relief kicked in. Nothing could have prepared me for how painful it was. Asking for an epidural was the best thing I could have done, as once it began to work I was able to compose myself and breathe deeply again, focusing on the job in hand. I was so lucky to have my fiancée there holding my hand and my sister on the other side. Dilating the last two centimetres took me through until 6am, when I looked over at the clock on the wall and they told me to start pushing. I did this for two hours. Although I wasn’t in any pain at this point, I could still feel the massive pressure of the baby’s head and my increasing tiredness was making everything much harder. So at 8.30am, under the assistance of two midwives, two doctors, a pediatrician, my partner and my sister, our son Iolo was born, with the aid of Ventouse (largely due to the fact the baby had one arm up by his head!). I cannot describe the moment they placed him up on my chest. I could not believe I had done it. It was the hardest, most emotionally and physically demanding experience of my life – but I succeeded and gave birth to a happy and healthy baby weighing 9lb 50z. 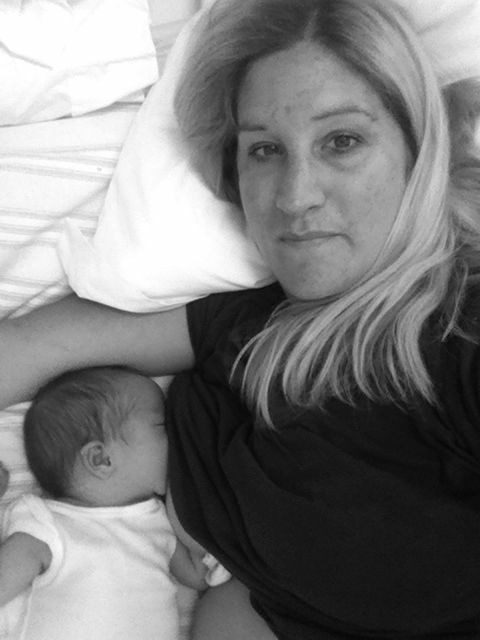 This may not be the most straight forward of birth stories, or the one you read that is going to tell you child-birth is a blissful experience that can be achieved with a few deep breaths and a bit of pushing. But I figure there is no point writing it unless I am truthful. It is eight days now since the birth and I am still coming to terms with what a mind-blowing experience it was. My baby is asleep on my chest as I type this. Every time I look at him I will always be reminded of what an incredible achievement it is to grow and give birth to a baby. It was given me a renewed and deep-rooted respect for all child-bearing women as I begin the next stage of my life as a mother. This is the week my baby is due. 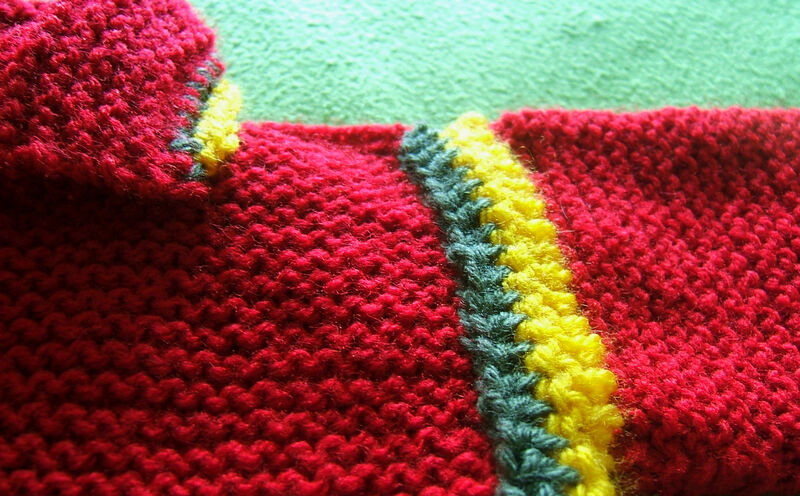 I’m spending a lot of time blogging, crocheting, watching films, sorting things out and cooking. I’ve also ended up reading about lots of natural ways to induce labour… my fiancée says if I drink any more Raspberry Leaf Tea I’m going to turn pink. I’ve munched my way through a few pineapples, tried some acupressure points and eaten several lots of curry, which is also rumoured to do the trick. The other night we went to our new favourite South Indian restaurant and I had a beautiful Dahl Sagg. On Wednesday I thought I’d make my own curry, so looked to Madhur Jaffrey for some inspiration, in her Eastern Vegetarian Cooking book. I adapted her recipe for Very Spicy Delicious Chickpeas, by changing the spices slightly and using a mixture of chickpeas and lentils for variety. I served it up with whole wheat chapatis and some very hot lime pickle. I’m not sure why eating spicy foods is supposed to help bring on labour – and to be honest – it doesn’t seem to have worked so far – but it’s an excuse to cook and enjoy some lovely food. We might make our own Masala Dosa this evening, so watch this space. 1. Fry the onions and garlic in the sunflower oil on a medium heat, until they start to brown and are really soft. 2. Add in all the spices apart from the chillies and ginger. Keep the heat on medium-low and continue to fry for a minute. 3. 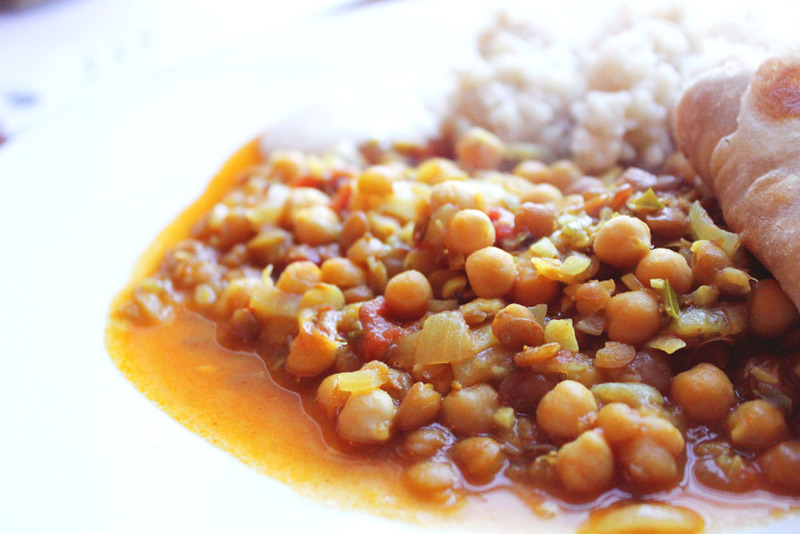 Add the tomatoes, chickpeas and lentils and stir in thoroughly, then add the salt and lemon juice. 4. Stir and cook for a couple of minutes, before adding the water, covering and leaving to simmer on a low heat for 10 minutes. Now add in the chilli and ginger. Cover and return to simmer for another 10-15 minutes or until you are ready to serve. 5. Curries do well developing flavours if you leave them to stew, so don’t be afraid to make this in advance and allow it to sit for an hour or two before re-heating and serving. 6. Meanwhile cook some rice, around 50g per person and make some chapatis. Follow my previous recipe here, omitting the spring onions if you like. 7. Serve with a hot pickle or chutney and soya yoghurt as an additional dip. Indulge and hope your baby comes soon!